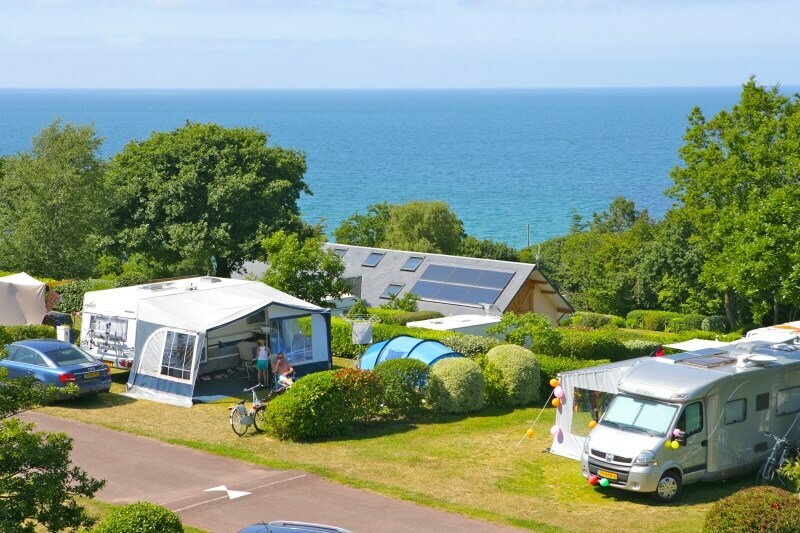 From a simple Rando pitch, ideal for normal tourism, to a Comfort Plus with private sanitary facilities directly on the pitch, You will find our campsite a wonderful place to bring your tent, caravan or camper for your stay in Normandy. 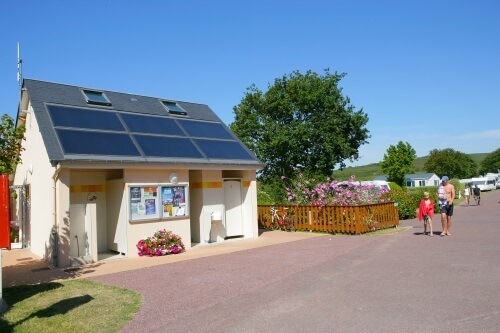 The Castel Camping L’Anse du Brick welcomes you in an exceptionally beautiful nature reserve, between the forest and the sea in Manche. 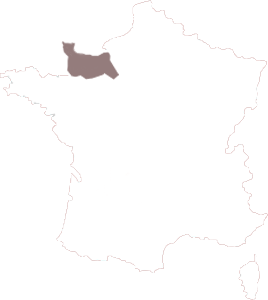 All the ingredients for a successful holiday in Normandy, as a couple, or as a family with children. Thanks to the terraced landscaped pitches, a large number of holiday homes and camping pitches have a view of the sea. 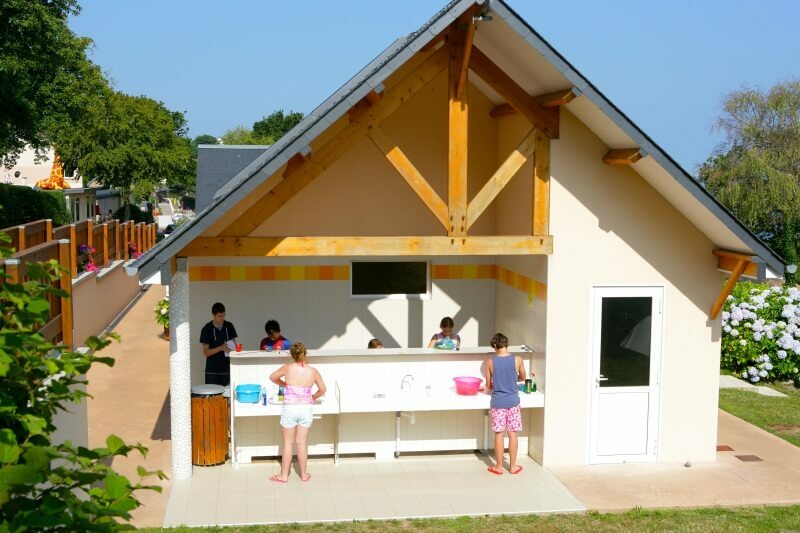 Whether you are in a tent, caravan or camper, you can benefit from all the facilities and activities of our 5 star campsite: heated outdoor pool, indoor heated pool, playground, tennis court, volleyball, football, pétanque, games room, table tennis, pinball machines … Funny and sporting activities are organized every afternoon in high season, except Saturdays. 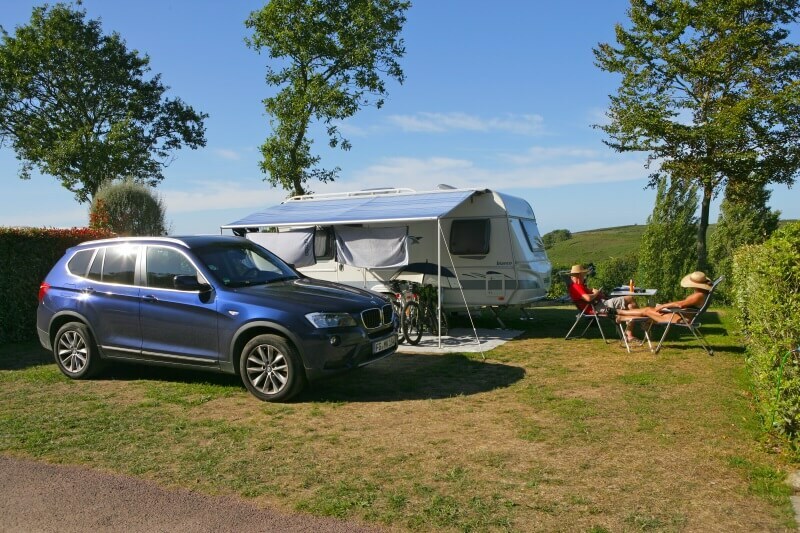 During the high season the activities offer a relaxed and cozy atmosphere, you also meet other campers. From the Rando pitch, ideal for a short break while following the coast, to the Comfort Plus with private bathroom on the spot itself. 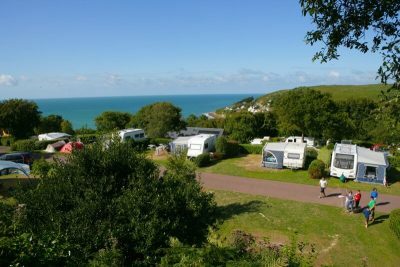 Take advantage of a beautiful sea view from your camping pitch. The premium camping pitch has many extra services. 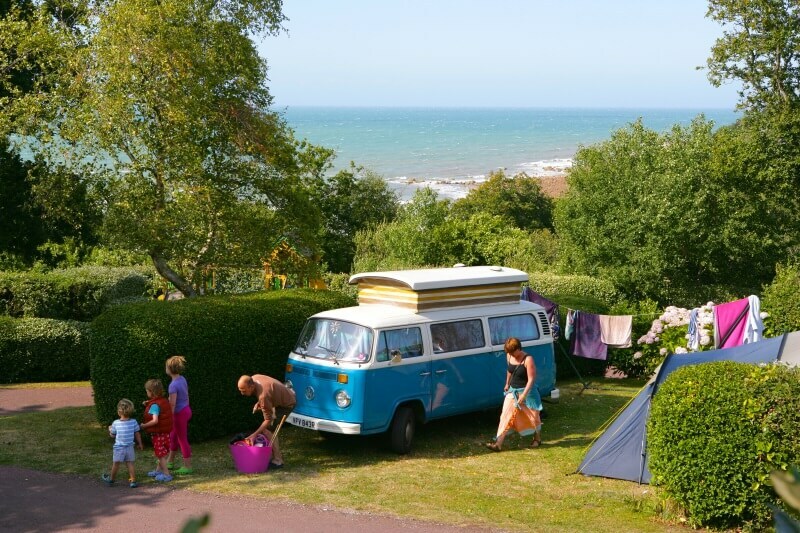 L’Anse du Brick offers spacious pitches for tents, caravans and campers. Half shadow and bordered with hedges. Visit our section Information and reservation conditions to get detailed information about the different reservation methods of your stay, means of payment or taking out a cancellation insurance. The holidays, being free ! Faster Wifi – free internet connection 24/24h, ok for text messaging and simple web browsing. Faster internet for one device included in the tariff for the Premium pitch. Benefit from a special rate for arrival after 6 pm and departure before 10 am: € 20 per night in low season, € 26 per night in high season. Package includes 2 people. Offer only applies for a 1 night stay on a Rando or Touring pitch. 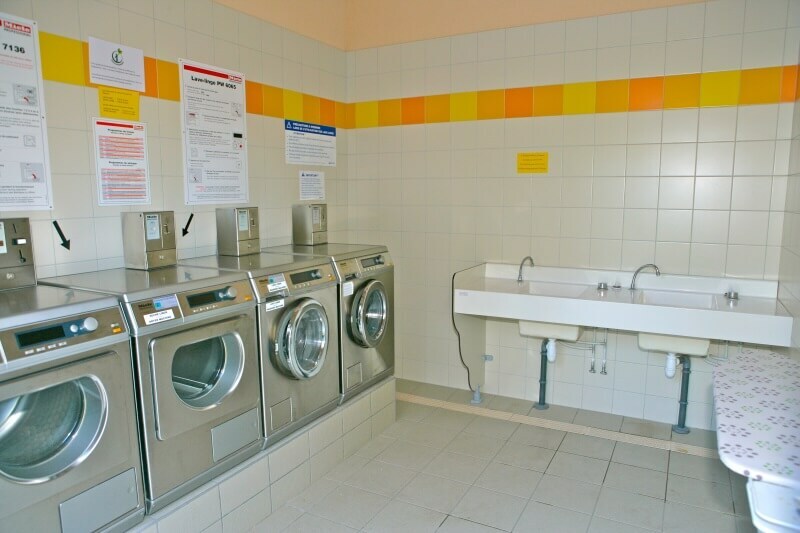 With a special bathroom for babies, an adapted bathroom for the disabled, laundry (washing machine and dryer). Large caravans: Please indicate when you make the booking. 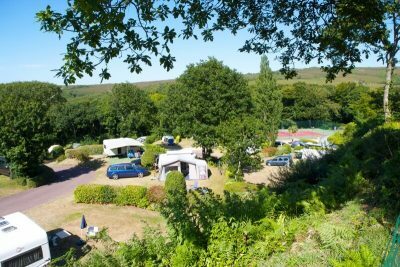 If you know the campsite and you want to reserve a certain number, you can choose the paid option ‘choice of pitch number’. In the other cases, the number is given on the day of arrival. Only the chosen category is guaranteed. 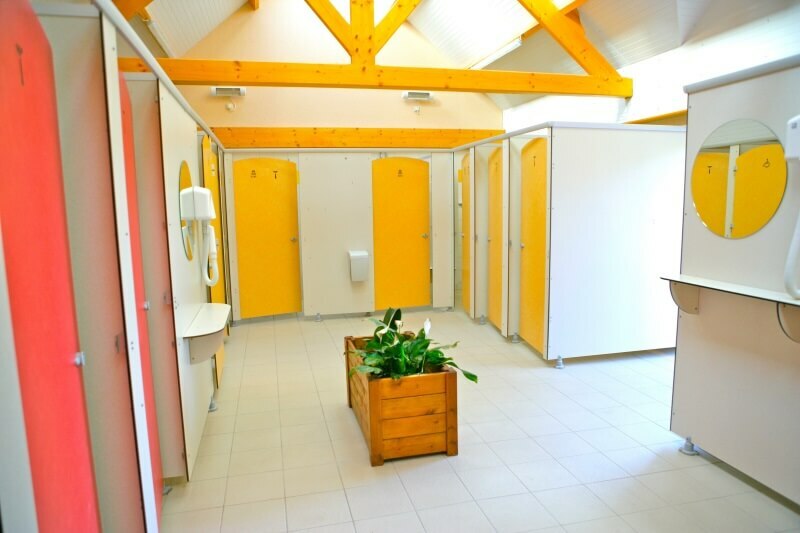 The campsite L’Anse du Brick offers new sanitary facilities according to the latest standards and heated in low season for a truly 5 star comfort. 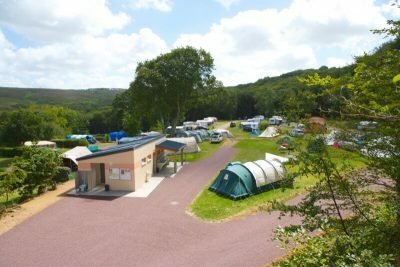 You may also be interested in our range of holiday homes, mobile homes or lodge tents, see our page Rentals to find out more, see photos and check availability. The mobile homes are fully equipped and have their own parking space. Some of our rentals also have sea view. 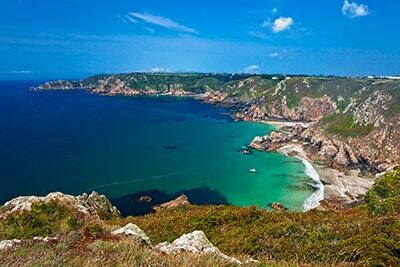 From your campsite in Normandy, you can easily discover the region. 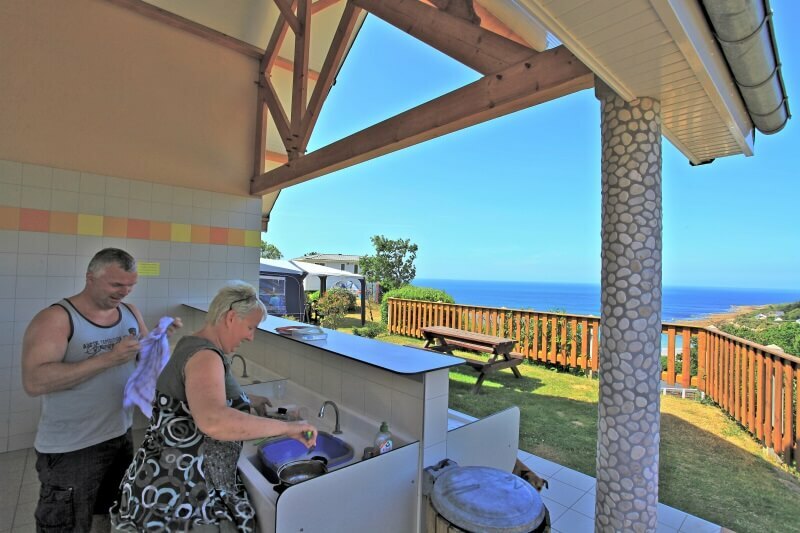 At L’Anse du Brick you can enjoy a holiday resort close to many tourist attractions: the channel islands, Barfleur, The sea museum in Cherbourg, the landing beaches, the Mont Saint-Michel … The campsite is on the GR 223 track, ideal for walkers along the Normandy coast. You can also explore the woods situated just next to the campsite on foot or by mountain bike. Camping L’Anse du Brick invites you to read the reviews of customers on the page of our website to have their feedback on their trip in Normandy. These reviews are the real experiences of customers, obtained through an external system, so you get a fair picture and you can consciously choose us for your holiday. Our campsite staff will do everything they can to make your holiday as pleasant as possible. They will welcome you with pleasure and advise you on nice trips.